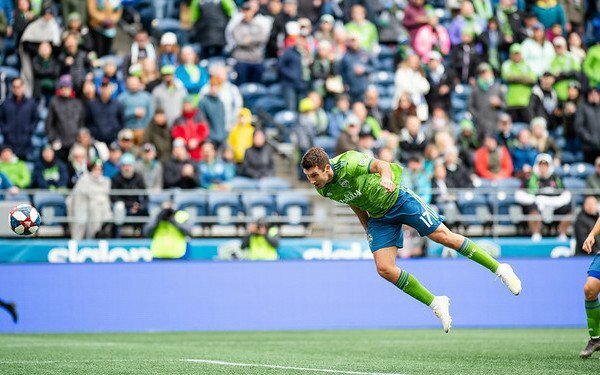 Known for their slow starts, the Seattle Sounders have rewritten the script in 2019, getting off to their best start in their 11 MLS seasons. A 3-2 comeback win over previously unbeaten Toronto FC improved the Sounders' record to 5-0-1. Dating back to last season, Seattle is unbeaten in its last 11 regular-season matches (10-0-1). They are one of three teams still unbeaten after Week 7 along with LAFC (6-0-1) and Houston (4-0-1). Will Bruin, who has been and out of the lineup in his first two seasons with the Sounders, replaced Ruidiaz against RSL and again against TFC when head coach Brian Schmetzer made a game-day decision to hold the Peruvian star out so he'd be ready the home-and-home series with LAFC April 21 and April 28. Bruin scored the first two goals on Saturday to overcome a 1-0 deficit on the first of Jozy Altidore's goals. Cristian Roldan scored the third Seattle goal. Bruin now has 70 goals in nine MLS seasons and ranks fifth among active players, trailing only Chris Wondolowski (144), Kei Kamara (116), Bradley Wright-Phillips (107) and Dom Dwyer (77), but his only chance to start until the last two games came when he went down to Tacoma with other first-team reserves and started in the USL Defiance in its 2-1 win over Sac Republic FC. Schmetzer and Bruin met in the offseason to discuss the 29-year-old forward's role on the team since Ruidiaz arrived after the 2018 World Cup, cutting Bruin's playing time down significantly. "Sometimes those conversations are tough and we handle it like men,” said Bruin. “I always want to play whenever I can, and he wants to put out a squad that’s going to get three points. I understand that, it’s business. My job is to, when I get opportunities, score." Bruin said this is the best Sounders team he has played on, ticking off its creativity, pace and depth as some of the qualities that he says make the Sounders hard to scout. He played only three minutes in Seattle's first four games but was ready when his chance came. Photo: Mike Fiechtner / Sounders FC Communications.